I ran across a really cool device on KickStarter called Zeus. Zeus brings a lot of things to mind from the father of the Greek gods “gonna throw a lightning bolt at you if you make me mad” or personally for me a roller coaster of the same name in my home state of Wisconsin. However, in this case it’s a “do everything” 3D device brought to you by AIO Robotics, Inc. According “The first and only device that allows users to 3D Scan, Print, Copy, and Fax objects with a touch of a button from one device.” Scan, print and copy are pretty self explanatory, but fax is a little less obvious. Fax is the ability to send files from one Zeus printer to another. This device really has it all including software with nice “repair” features. There are also lots of comparison to Makerbot’s device and if the stats promised are delivered, Zeus really will be the king of the 3D printer/scanner market. I love that the color scheme looks a little like a retro Nintendo NES 8-bit controller too! 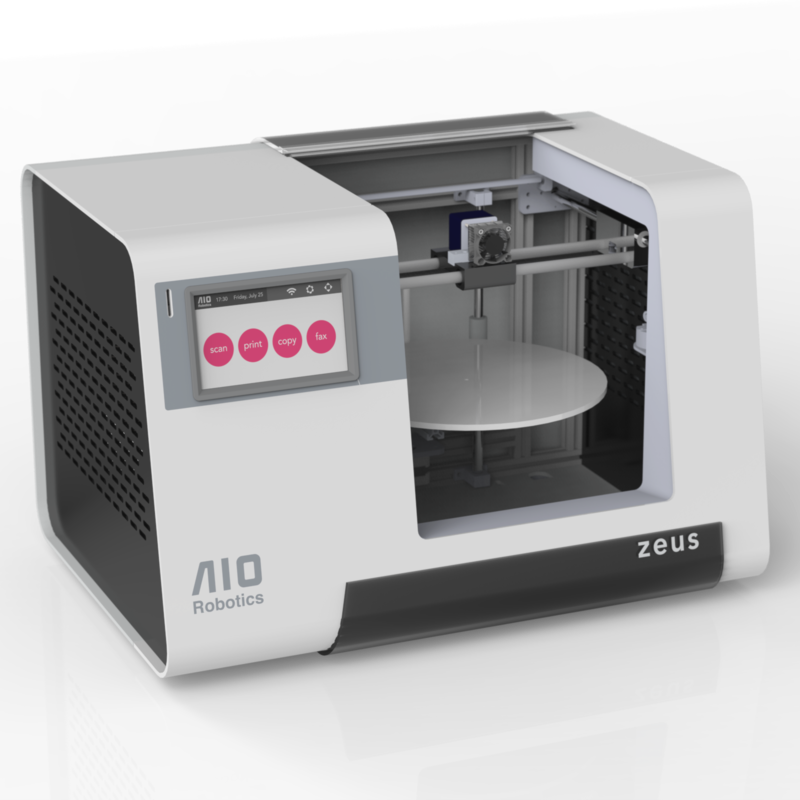 Go to http://www.kickstarter.com/projects/aiorobotics/zeus-the-worlds-first-all-in-one-3d-copy-machine?ref=recently_launched to learn more. You can also virtually ride the Zeus roller coaster here. ← Are you a Student? Enter the Extreme Redesign 3D Printing Challenge!